How Do Home Construction Loans Work? How Can I Get One? One of the best ways to ensure that your dream home really is your dream is to design and build it yourself. A construction loan can help you accomplish your goals, but it’s important to be aware of some of the quirks associated with construction loans. Here’s what you need to know about how to get a construction loan. 1 How do construction loans work? 2 What is covered in your construction loan? In most cases, construction loans are short-term and may come with higher interest rates than more traditional mortgages. Most construction loans are meant to be paid off within a year. Your loans are usually disbursed in “draws” to the builder or contractor, rather than sent to you. Each draw is disbursed as certain milestones are met. For example, your contractor might receive a disbursement after the foundation is poured, and another might come after the home is framed. All of the terms are set forth in the paperwork. There are three main types of construction loans: construction-to-permanent, construction-only, and renovation. With this type of home construction loan, once the home is built, the loan converts to a mortgage. You usually only have to pay one set of closing costs, which can save you money. You can also choose to pay interest during the building phase, but it’s usually a variable rate so your payments will fluctuate. After the home is built, and your construction loan converts to a regular mortgage, you might be able to choose whether you want a variable rate or a fixed rate. If you have a good plan for your home’s construction, and you want to pay off the loan over time with a reliable monthly payment for cash flow management purposes, this type of loan can make a lot of sense. When you opt for this type of construction loan, you’re not going to have it automatically converted to a mortgage. Instead, you need to pay off the loan at the end of construction. As a result, you’ll pay two sets of closing costs, and have to get approved for two separate loans. However, you might be able to make a smaller down payment on a construction-only loan than you would need for a construction-to-permanent loan. So, if you already own a home, you might want to get the construction-only loan for now, and then wait until you sell your current home to get a bigger down payment for your mortgage. Construction-only loans can work well for those with limited capital available now, but who expect to have money available later. Once the building is done, you can apply for a mortgage large enough to pay off the loan. The downside, though, is that if something happens to your financial or credit situation while your home is being built, you could end up being unable to qualify for a mortgage big enough to pay off your loan. Then, when your loan becomes due, you have new problems — including the possibility that you could lose your home before you even move in. Rather than helping you build something new, a renovation loan is designed to help you cover the costs of a major remodel. If you want to turn a fixer-upper into your dream home, but aren’t sure if you have the money for renovations, this type of loan can help. It’s important to note that these aren’t home improvement loans. A home improvement loan often deals with smaller remodels and is based on how much equity you currently have in the home. 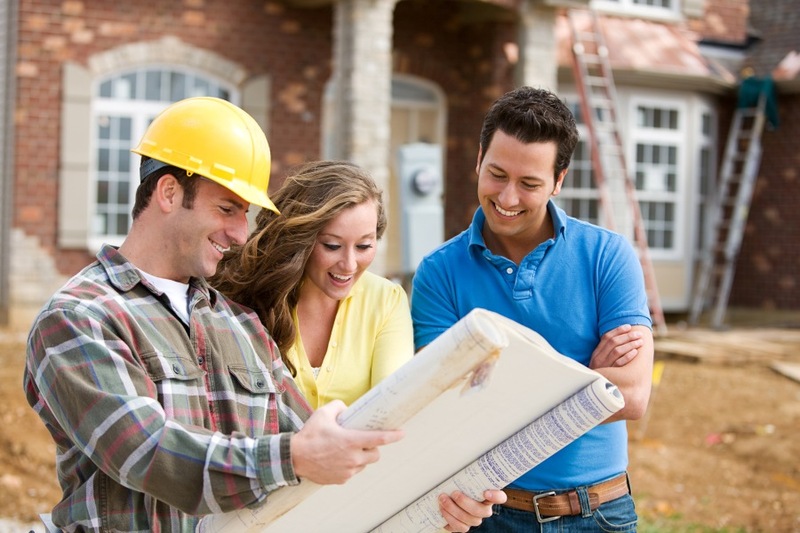 Renovation construction loans are about major overhauls. Typically, you’ll get a loan big enough to cover the costs of renovations as a mortgage. You only apply for one loan, and it’s based on the likely value of the home after the remodel is finished. This can be a big help if you don’t want to try to finance the cost of upgrades after you buy the house. What is covered in your construction loan? You might also be able to have interest reserves built into your loan if you don’t want to make interest payments while your home is being built or renovated. The idea is that everything you need to complete your home, whether new-built or a renovation, is wrapped up into the loan. When building a home, you can’t just ask a lender for an appraisal or just get approved for a certain amount. Lenders expect to see a plan for the construction of the home. Lenders will dig into this information to decide if you’re a good risk. They want to know that the home — or the lot — will at least be worth something if you default on the loan. Part of the process is understanding that the home will at least be worth what you’re borrowing once it’s finished. At each stage of construction, and before disbursement is made, the work will have to be inspected. If you choose a general contractor that’s experienced and respected, they can help you provide needed information to your lender, and you can be reasonably assured that they will do good work. Credit score: This is the most important element of any home loan, and it’s no different with a construction loan. In fact, because there might not be anything of tangible value before construction, you might need an even higher score. You usually need at least a 680 credit score to qualify, so if you’re not there yet, you need to improve your credit. Debt-to-income (DTI) ratio: As with a regular mortgage, the lower your debt-to-income ratio, the better off you’ll be. Most lenders require that your DTI be no more than 45% of your monthly income. Down payment: While you might be able to get by with 5% or less for a down payment with a traditional mortgage (FHA, USDA, and VA loans famously come with much lower down payments), a construction loan is a different story. You’ll likely have to put down at least 20% to make it happen. In some cases, though, as with a renovation loan, you might get away with a lower down payment. By planning ahead and making sure your finances are in order, you have a better chance of qualifying for a construction loan. Realize that there are many moving parts to your home construction loan. It’s not just you and your lender involved. You’ve got a builder or contractor as part of the arrangement, and you’re not going to get a lump sum. Instead, the lender will evaluate you and the contractor you choose separately. Additionally, a timeline for disbursements needs to be set up. On top of that, a lender might need to consider insurance related to the process. Plus, whether you choose a construction-to-permanent or a construction-only loan matters a great deal as you negotiate with a lender about your terms. As a result of these different aspects to construction loans, you might need to allow for a longer closing period. Additionally, you’re likely to see delays and additional costs during the building portion, so making sure you have adequate contingency reserves built into your home is vital. A construction loan can help you create your dream home, whether you build from scratch or convert a fixer-upper. However, you need to be prepared for the differences that come with it. Your lender isn’t just going to approve you for an amount and then hand over a lump sum and hope you use it appropriately. Instead, you’ll have to prove that you can handle the loan, that your construction project is viable, and you’ll be watched every step of the way as funds are doled out. If you understand how a construction loan works, though, it can be a great tool for ensuring that you get exactly what you want in a home.